I am sure you have heard the complaints about Facebook….”Why would anyone waste time on that….I am a private person, I don’t want anyone knowing my business….what happened to privacy”. I hear these complaints (and many others) a lot from some of my older relatives and friends who are not fans of Facebook. I was surprised to learn that many of our ancestors were fans of what would have been the equivalent of Facebook for the late 1800’s and early 1900’s……the newspaper. Each day the newspaper would publish “status updates” on the specific social activities of their citizens in the community. Tell me these don’t sound like status updates? My research indicates that these sort of “getting your name in the paper” events were common place….which is great for ancestry research. It appears that most comments had a "Social or Society column, which published interesting pits of information about families and what they were up to. 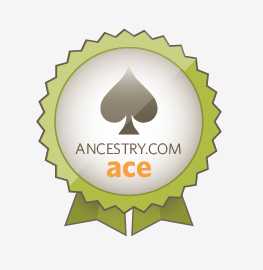 I find these to be a great source of information on my ancestors. Probably the most popular items I have seen published in the local papers are regarding citizens visiting friends and relatives out of town, celebration of promotions, anniversaries, attending funerals, parties or other special occasions. It does beg the question. Why did our ancestors submit this information to the local papers? My theory revolves around a number of things. One the communities were smaller and close knit, so there was less concern about crime. If you were going to be out of town for a week, you didn’t worry about having it published in the paper. This would be unheard of today. Also, in this time period, very few people had telephones and people used to just “stop by” to socialize with their friends, neighbors and relatives. By putting a note in the paper about your upcoming travels, it was actually being conscientious by letting anyone who might stop by know not to come and visit you while you were away. Two, it did make someone feel a little important having their name in the paper. The personal need to feel “a little like a celebrity” was active in society even at the turn of the century. The more research I do about my ancestors and the times they lived in the more I have come to realized they were a lot like each of us today….just trying to make each day worth living and hoping for a great future for their children and being a little famous.